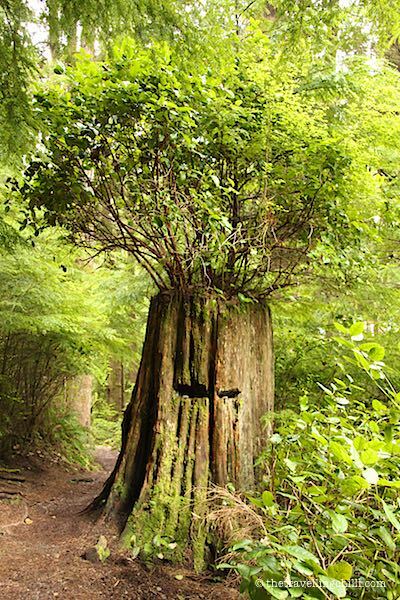 Vancouver Island is a beautiful island off the Western coast of Canada. 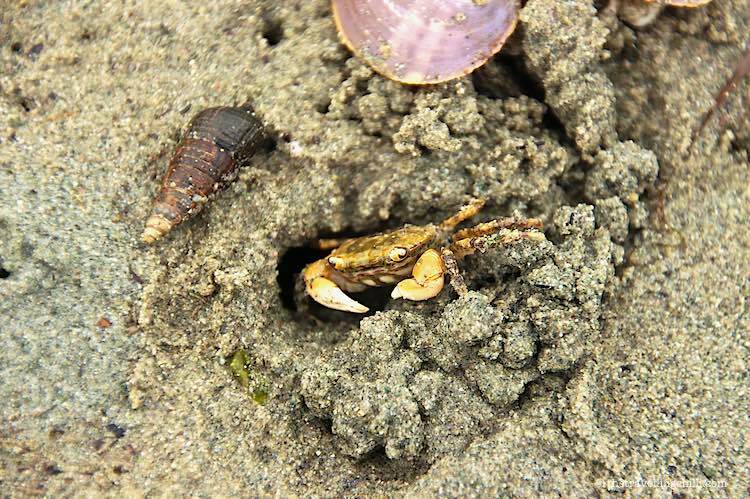 It has a very diverse ecosystem, with lots of beaches, forests, parks, wildlife and mountains. 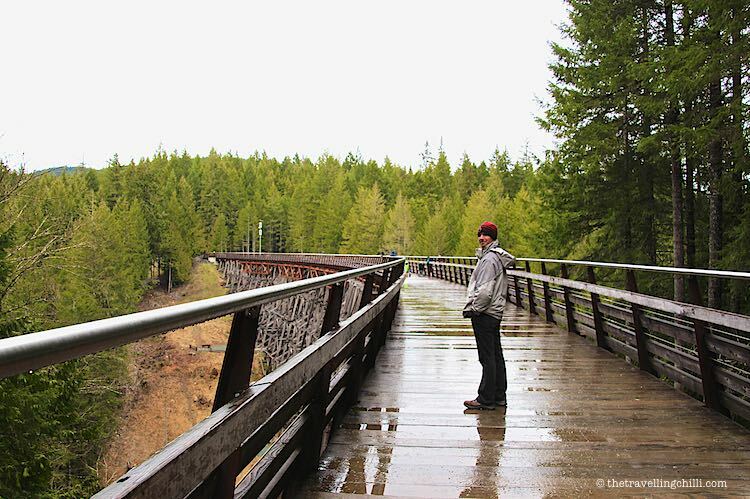 There are plenty of things to see and to do on Vancouver Island, from whale watching, hiking, kayaking, wine tasting and even snowboarding & skiing. 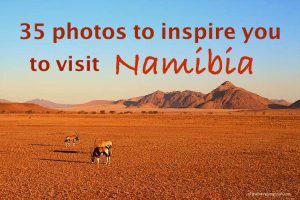 It is the perfect destination for any travellers that love the outdoors, adventure, nature and of course culture. 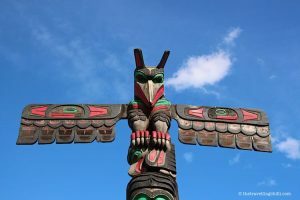 We were lucky to spend a few months visiting the Western part of Canada while staying with some friends on Vancouver Island. 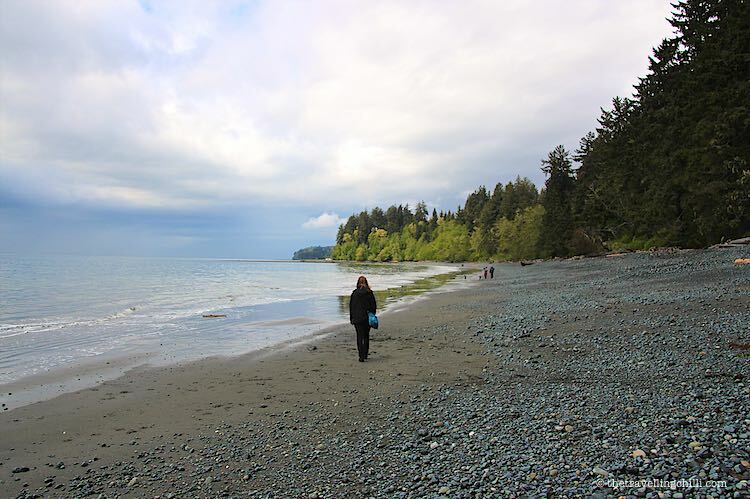 During our time on the island, we were of course catching up with some very good friends, but thanks to them, we also managed to be part of and experience stress free daily life on Vancouver Island. 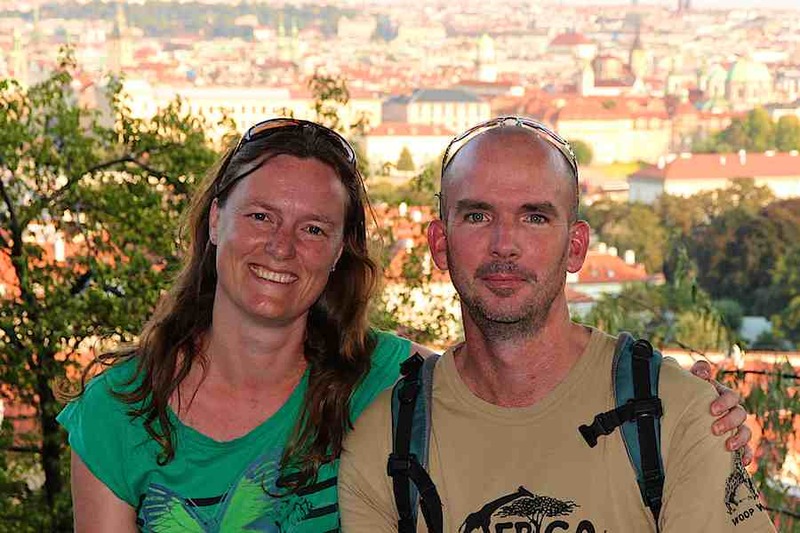 It was during our stay that we managed to discovered and visit a large part of the island. The rest of the weeks in Canada, we visited the provinces of Alberta and British Columbia while taking a road trip around and through The Rocky Mountains. 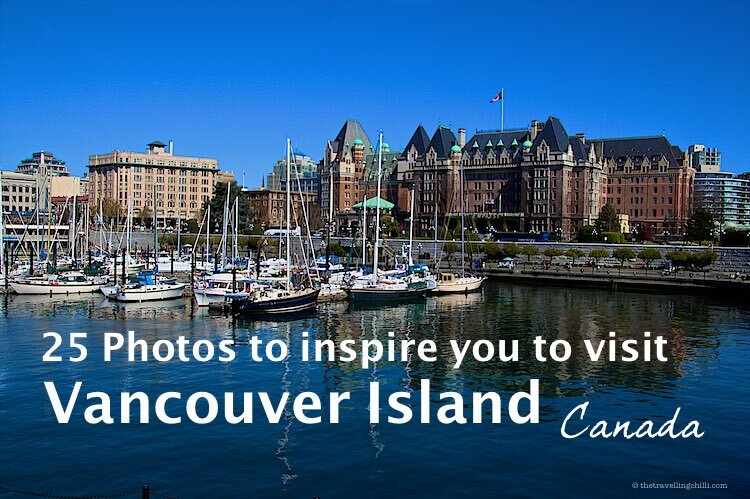 Vancouver island is a very photogenic area, with beautiful parks, beaches and pretty colourful towns. We visited the island during the Spring, where we saw the nature coming to life again and the flowers starting to bloom after the cold Winter months. The weather was mild, although we did have quite a few rainy days. 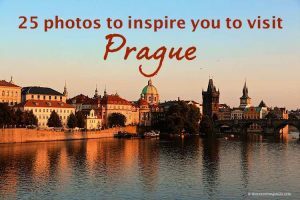 With our photos we would love you to be inspired to visit this beautiful and amazing island. 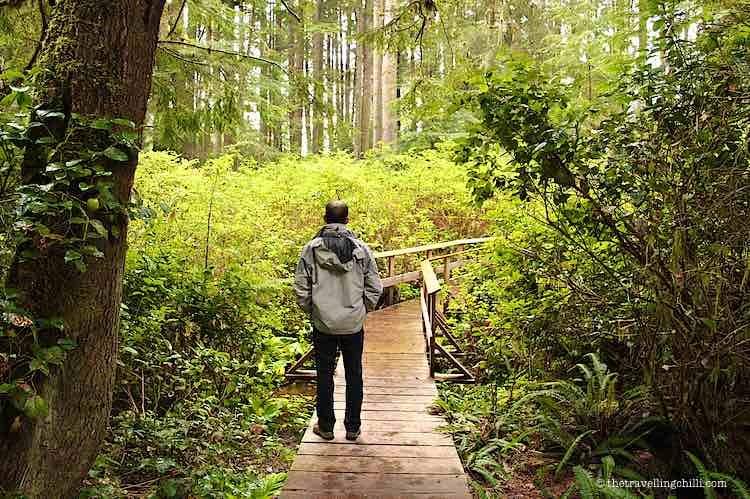 Vancouver Island has the mildest climate in Canada. We visited in Spring time and while everything was in bloom on the Island, the rest of British Columbia was still largely covered in snow. 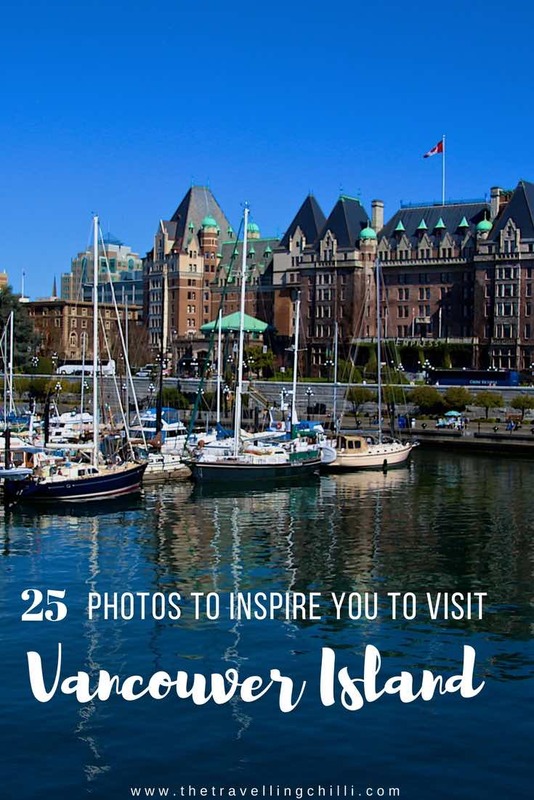 Victoria, located on the southern tip of the island is the largest city of Vancouver Island. 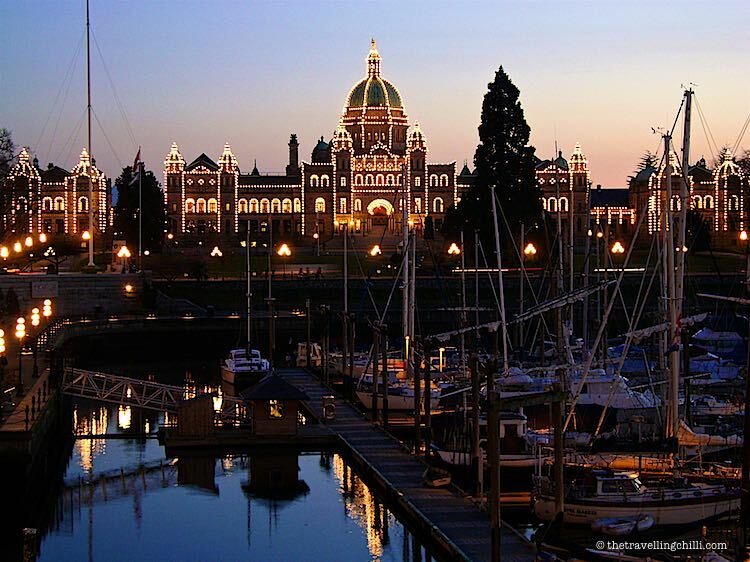 Even though Victoria is located on the island, it is the capital of the province of British Columbia. 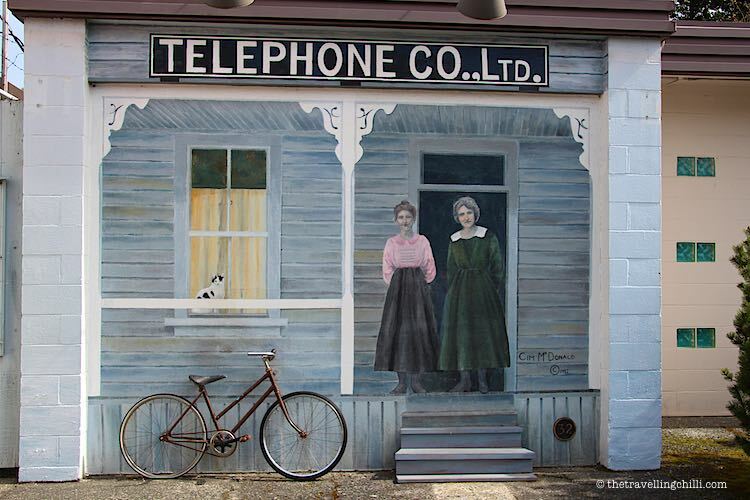 Some celebrities that originate from Vancouver Island are Pamela Anderson, Nelly Furtado and Diana Krall. 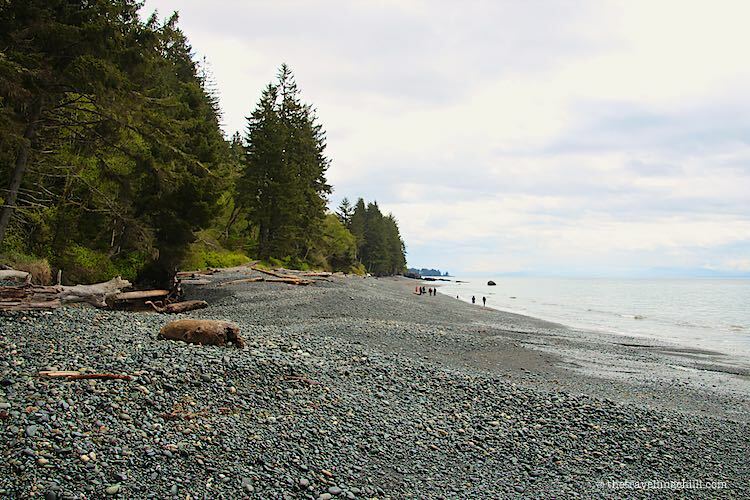 The island is 450 km long and 80 km at its the widest point, making Vancouver Island comparable with the size of The Netherlands. The highest point of the island is the top of Mount Golden Hinde at 2195 metres. 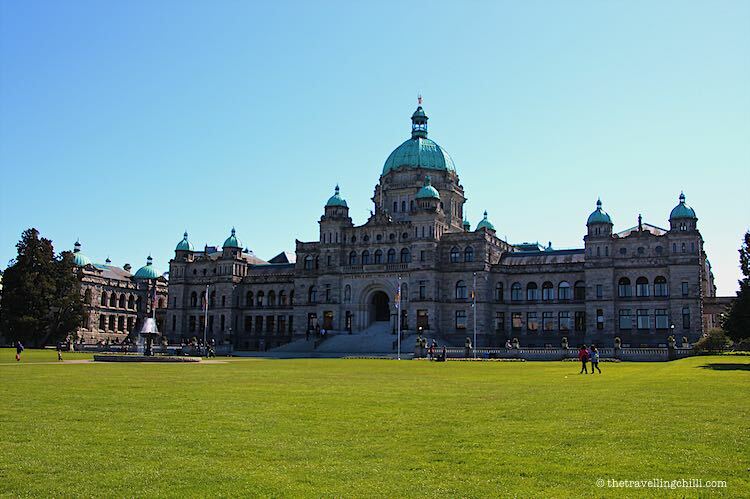 Victoria is the largest city on Vancouver Island and even though it is located on the island, it is the capital city of the province of British Columbia. 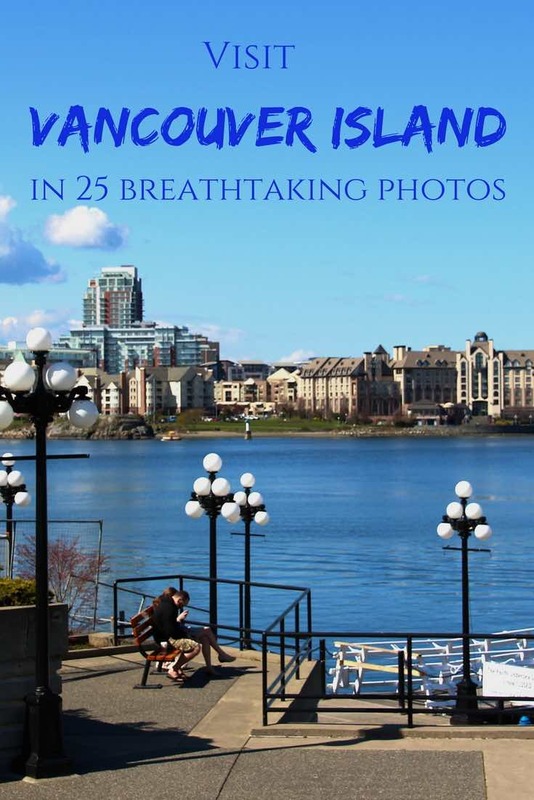 The greater metropolitan area of Victoria has a population of just under 400.000 inhabitants, making it the 7th most densely populated city in Canada. 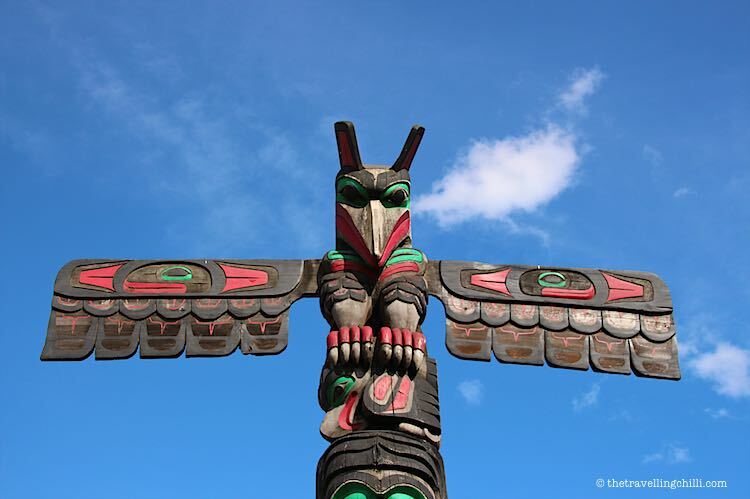 Victoria is located on the southern tip of Vancouver Island and is only a short distance away from the USA; 35 km to Port Angeles, Washington and 100 km to Seattle, both measured as the crow flies. 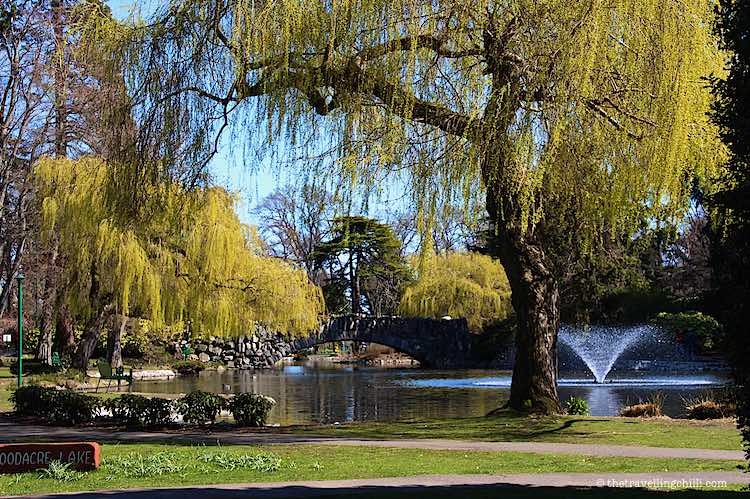 Victoria is a popular city to live for the elder generation, attracted by its nice and mild climate. 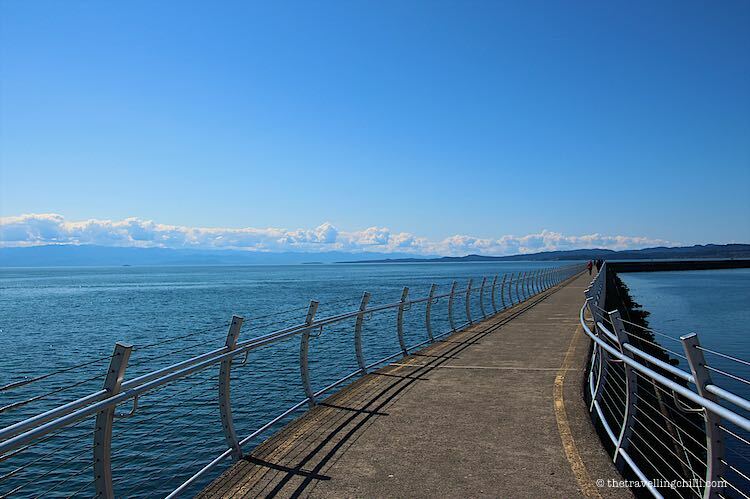 It’s a nice and very pleasant relaxed city to visit, with beautiful historical buildings, lovely parks and amazing views on the Olympic mountains (USA) from the seaside. 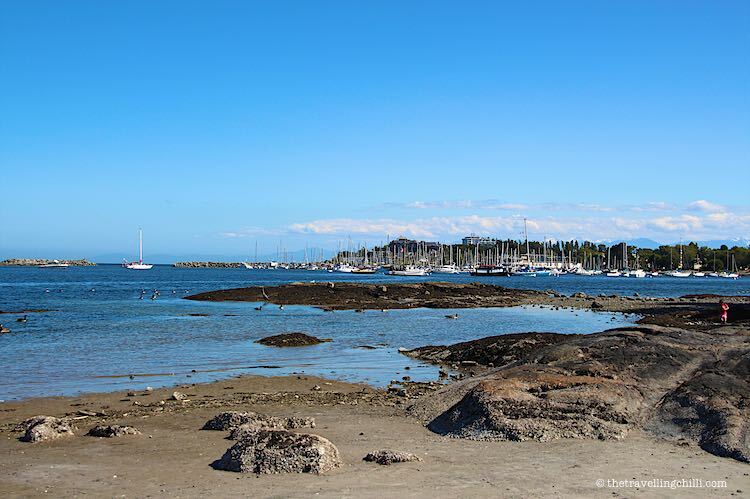 Victoria is also a popular destination for whale watchers. 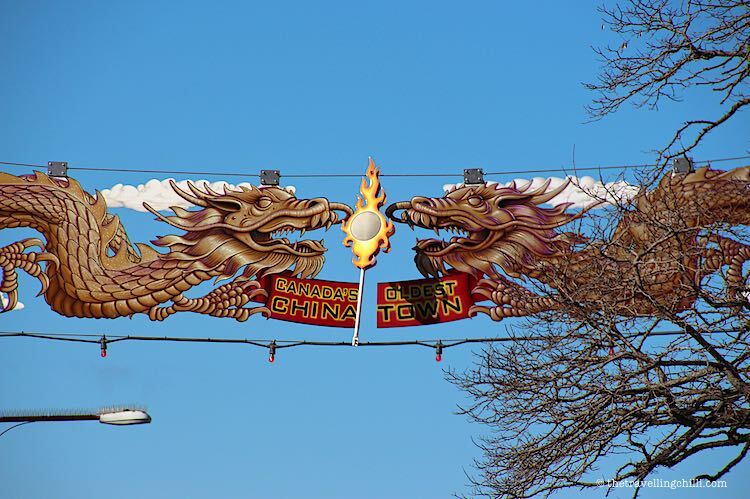 Did you know that Chinatown in Victoria is the oldest in Canada and the 2nd oldest Chinatown in North America? 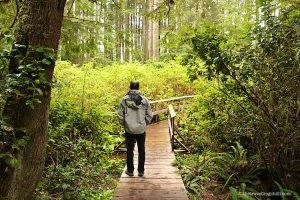 Vancouver Island is home to some really beautiful parks, each one of them unique with its own diversity. 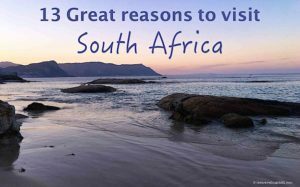 Even if you visit them all, you will see something else in each park; rugged coastline, long sandy beaches, forests, mountains, rivers, lakes and waterfalls. 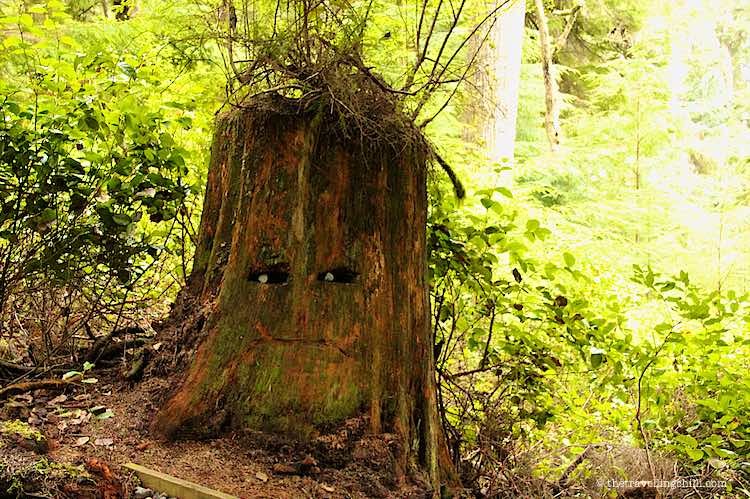 With so many parks and diverse nature on Vancouver Island there is plenty of wildlife. A lot of people visit to do take a whale watching tour to see killer whales, humpback whales and other marine life. 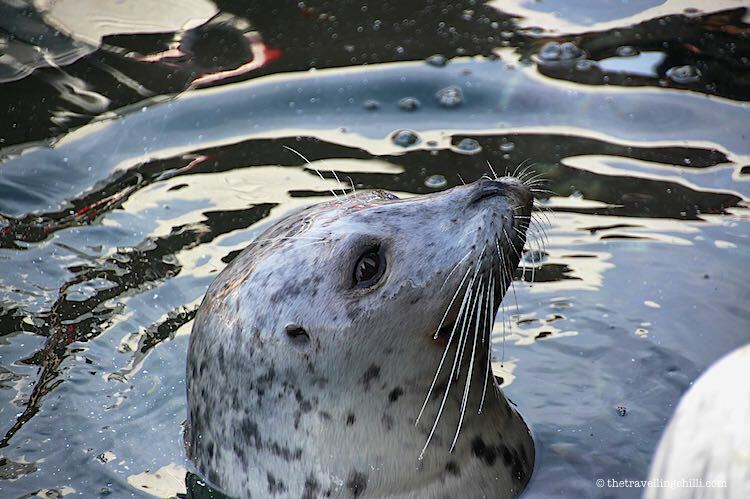 What you will also see a lot of are seals, in the harbours as well as in the bays by the ocean. There are black bears on the island, but unlike on the mainland, there are no grizzly bears. Other wildlife includes but are not limited to cougars, deers, wolves, the highly endangered Vancouver Island marmot, and plenty of sea birds. We did enjoy seeing a bald Eagle with a catch. 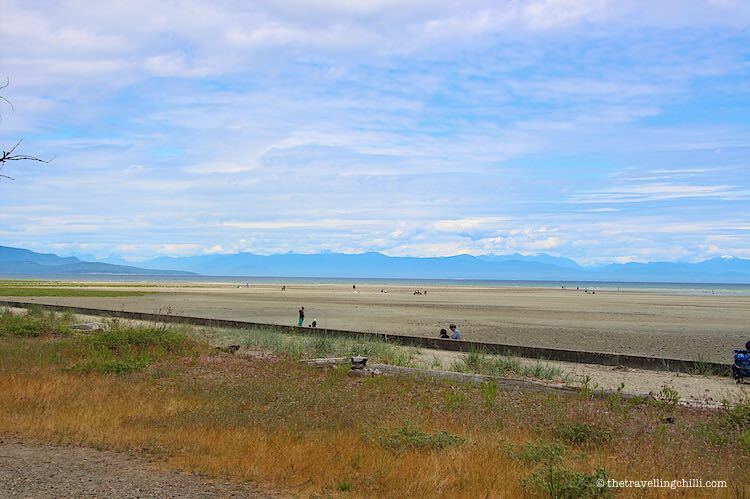 Apart from Victoria, we visited some other smaller cities and towns on Vancouver Island. Some of these are really pretty, picturesque and colourful. 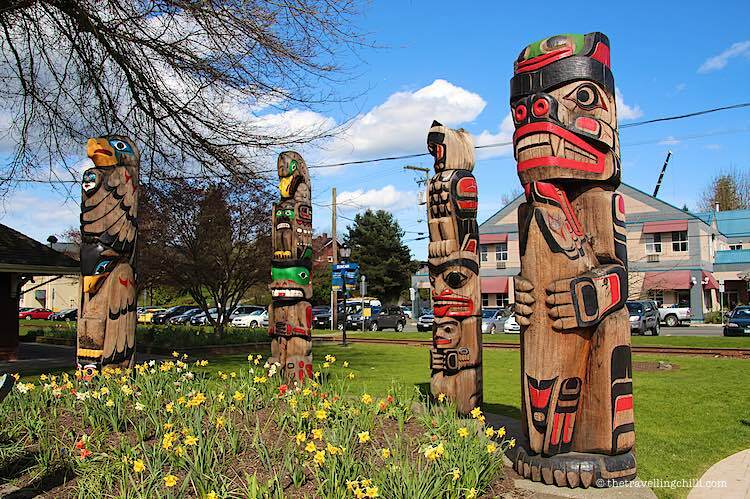 We loved the colourful harbour houses of Cowichan Bay, the parks of Mill Bay, the totem poles in Duncan (there are nearly eighty in town), the beauty of Sooke and the waterfront area of Nanaimo. 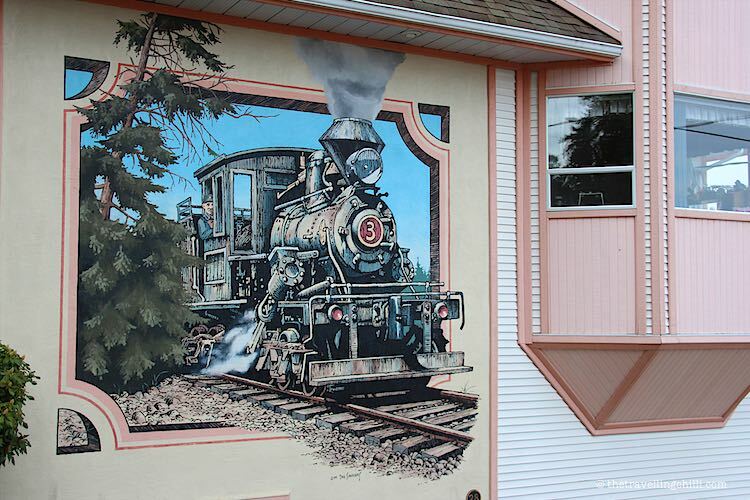 One of the most picturesque villages is Chemainus with its stunning mural art. From around the globe, artists were invited to paint the most beautiful murals on the buildings making it a huge open air art gallery. We arrived near the end of Winter on Vancouver Island and visited one of the ski resorts. We spent a few days on Mount Washington. 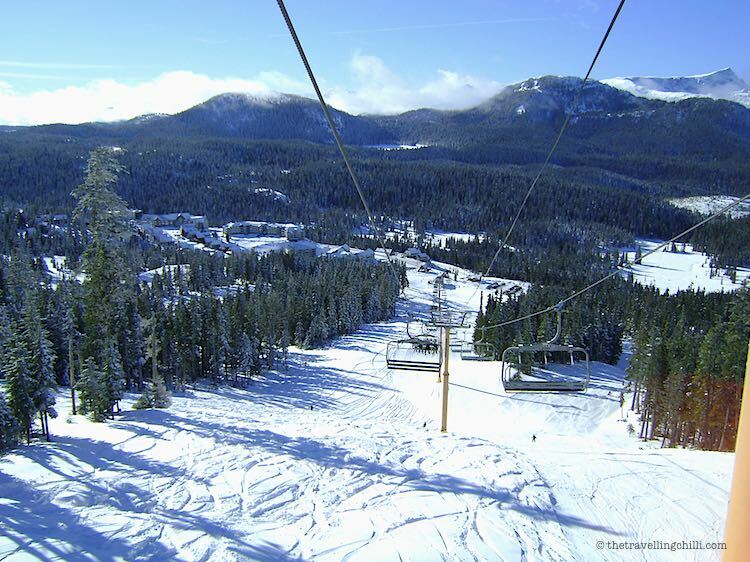 It’s not the worlds largest ski resort, but it does give you some nice skiing and snowboarding opportunities on 100% natural snow, as they do not have any snow making machines. Some years they have been able to boast an 11 metre snow base. One of the things that was most stunning for me were the views. I really enjoyed sitting by the seaside where I could savour the various views overlooking the island and the surrounding areas. 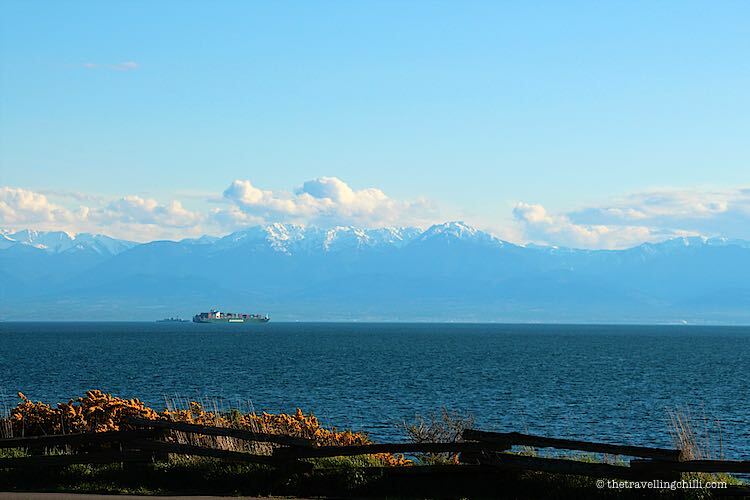 On the southern side you could see the snow capped tops of the Olympic Mountains in the United States, on the eastern side you could overlook the pretty bays enclosed between the island and mainland Canada and the rugged coast of the Pacific Rim on the western side. And to top it all off, the spectacular view from the top of Mount Douglas. 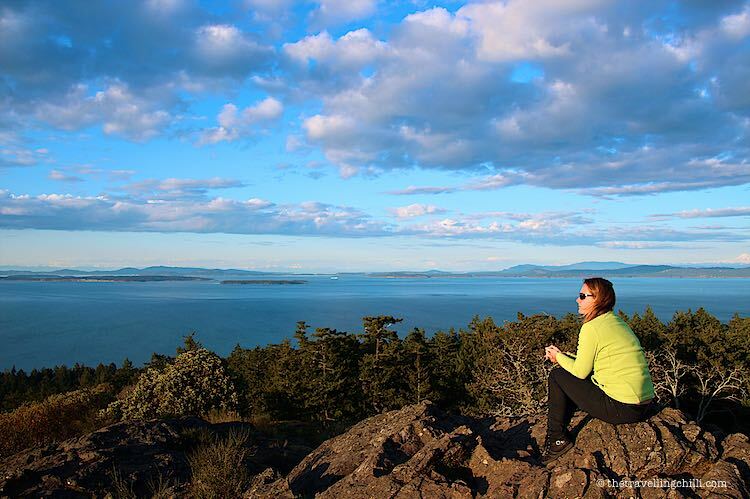 What would inspire you the most to visit Vancouver Island in Canada? 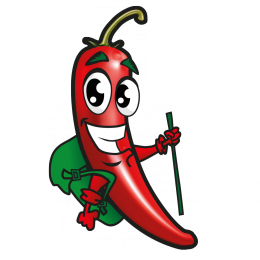 Disclosure: Some of the above links are affiliate links as we are participants in the Amazon affiliate programme. As an Amazon Associate we earn from qualifying purchases at no extra cost to you. 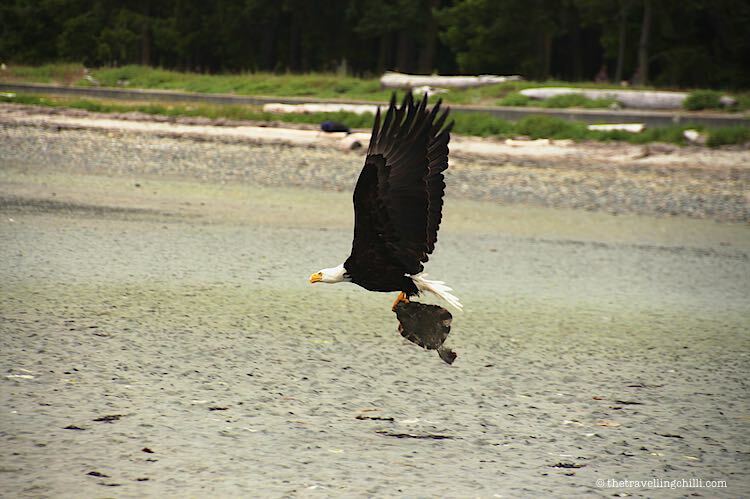 Does the bald eagle have a flounder in tow? Fine-dining for him. Or her. We flew into Vancouver – without wings – back in May, for a quick 2 hour layover on the way to NYC. Loved it. I recall that dramatic mountain view with snow caps and the like, and I was stunned at how green and clear the place was. All types of birds flapping around too. It is truly a paradise and you did a smash up job capturing its essence with your brilliant pictures. Though I’m pleased and proud that blogs like these extoll the beauty of our Island. The truth is far to many of you, once seeing this paradise, are coming here to live. Economy aside the impacts to accommodation, transportation, energy needs grow at an alarming rate. So, please, stay where you are (for a time). The powers in control are on “Island Time” it takes a bit longer to upgrade the ferries and hi-ways, build accommodations and find new energy sources….LOL, all kidding aside…we are a mellow, friendly bunch and if your heart holds no malice you are welcome here. 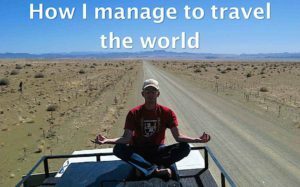 What I think we need to bring more attention to is the fact that various paradises around the world are being overpopulated by starry eyed bloggers at alarming rates, and that should anyone be inspired by blogs like ours to consider moving to such places, they should very carefully consider the impact of their length of stay. By all means, we should travel, and keep travelling, but only as long as is practically possible/feasible/sustainable. The earth is getting rather full, and a better spreading around of the ‘load’ is something we think should be given more thought. 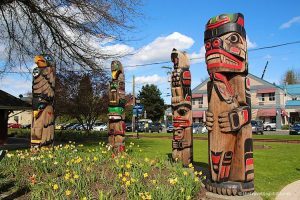 We have every intention of visiting Vancouver Island again, with emphasis on the word ‘visiting’, as we have good friends already living there for many years, and it is just that, a paradise well worth (re) visiting.